Now that the summer is finally here, it is the peak season for outdoor leisure and sporting activities. Everywhere you look people are jogging and cycling down the streets. Whether you’re a pro when it comes to cycling or a complete novice who fancies making a kick start to your fitness regime, there are certain things that you will need to consider before getting on your bike. As with winter, summer comes with some rather extreme temperatures. Whereas in winter it is very cold and icy and you need to be aware of slippages, it is very hot and sticky during the summer. Your top priority should be looking after number one during the summer heat. 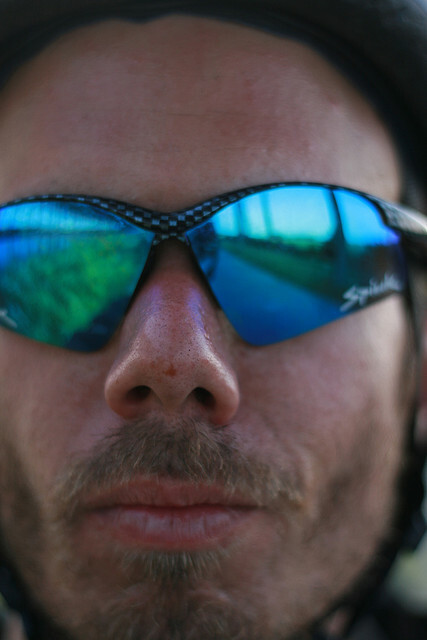 To help you here are some tips for protecting yourself from the sun while cycling. When it is hot and sunny outside, you are likely to produce more perspiration. As a result, more water will be lost from your body and you run the risk of becoming dehydrated unless you top those water levels back up with sufficient liquid. However, sipping from a bottle of sun-warmed water is not likely to taste very nice, nor is it likely to refresh you. Instead, you can keep your drinks cool by half filling your water bottle and storing it in the freezer. That way, it will start to melt throughout your cycle trip and you will be left will refreshingly cool water. The best way to stay comfortable during your summer bicycle rides is to wear layers of clothing. A Halfords cycle jersey is ideal to take along in your rucksack in case the weather cools off and you need to warm up fast. What’s more, you’ll feel so much fresher if you have a spare change of clothes to change into after your ride, particularly if you cycle to and from work. The last thing you need is to start the day sweaty when the rest of your colleagues are freshly showered. The hottest part of the day during the summer is between 11am and 3pm. You should avoid cycling during these hours, especially if you live in a hot country as too much exposure to the heat while you are exercising can cause you to develop heat stroke. Instead, stick to the cooler parts of the day and ease yourself in gradually – that way, it will be less of a shock to your body. You can take a pair of Halfords cycling glasses with you on your ride to help to shield your eyes from the glare of the sun. When you’re exercising in the sun, you are less likely to notice when it burns you, particularly if you’re cycling, as the movement you create will ensure that the wind keeps you cooler. However, just because you are not lying on a sun lounger does not mean that it is impossible to burn. Avoid painful sun burn and heat stroke by applying the correct sun protection factor before you head out and throughout your journey depending on the time you are out. Take your bottle of sun cream with you in your rucksack for reapplications.